I was blessed to witness an unusual series of events late last year and early this year. In our present culture when two people disagree with each other, inevitably they turn away from the other, retreat to their safe spaces and then label the other person as an idiot. There are no further conversations and they become enemies for the rest of time. As I said, I witnessed a blessed event; two groups met, discussed, encountered problems, solved those problems, and didn’t become mortal enemies. It is no surprise that I am speaking of the Councils of Ebenezer and St. John’s. During the conversations about Shared Ministry, the Councils encountered areas of conflict. To their credit they did not walk away and permit the conflict to become their identities and stumbling blocks which could not be overcome. When confronted with conflict, they remained in conversation with each other and the other Council. They identified their most important values, the ultimate goals of the conversations and then found ways to compromise that moved the churches forward to achieve their goals. In large part because of their hard work, we are beginning our journey together. For each church this is a new journey. Each church has done ministry in their community without the direct help of any other church. We have recognized that the days of a full-time minister for each church has passed from the scene. Whether this is good or bad for the ministry of St. John’s and Ebenezer will be determined by our response to the Shared Ministry. Your Council has served you admirably in preparing for this new day. My promise to Ebenezer and St. John’s is to serve you at least as well as your Councils have served you. Treat each person with grace, compassion, and as a child of God. Help people deepen their faith. Prepare and deliver sermons, grounded in the history of the faith, and living in the present. Provide a listening ear which will be confidential when necessary. Help each church find its best ministry and bring it to the community. Honor the history of each church and its unique place in the community. I look forward to this new experience and discovering what God has in store for us in Chilton and New Holstein. Our Sunday school program has touched many lives during the past few years. It has grown from just a few kids to 20 – 30 youngsters. Our teachers provide high-quality, interesting and fun lessons bringing the kids to a closer relationship with God. Now we begin a new path for Sunday School. Shared Ministry means a new start time for Sunday School (following service ~ 9:45 a.m.) and a rededication to attendance. An effective upbringing in the faith starts at home with parents reading the Bible and sharing the stories with their children. Sunday School adds a structured learning environment with greater depth to the stories and how the lessons taught in the Bible apply to each child but also in the wider community. The third rung on the ladder continues with Confirmation. Confirmation moves the youth to a deeper reading of the Bible than they have experienced. As we developed the Shared Ministry, it was Ebenezer’s Sunday school time that presented the most unique challenge. After much discussion and prayer, it was decided to move the start time to after services. We believe this will most likely continue the strong program that has developed over the past years. 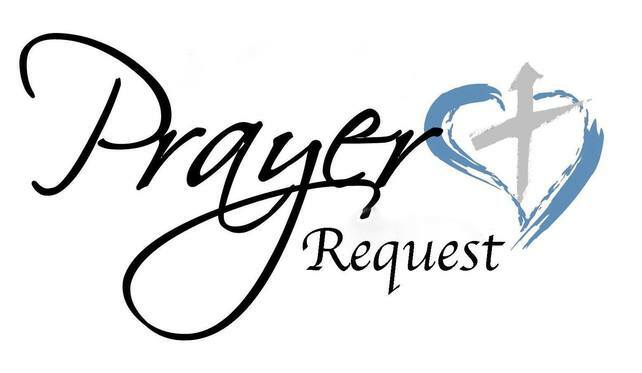 During the Shared Ministry time please pray for all parts of the ministry but especially the Sunday school program, the teachers and the students. The meeting of the Ebenezer Church Council was called to order at 10:47 a.m. by Kelly Brown. Kelly Brown, Colleen Marx, Kari Meyers, Vern Gasch, Andy Hofmeister, Jamie Plate, and Pastor Mike. Kari Meyers made a motion to approve the agenda. Jamie Plate seconded. The January 2018 meeting minutes were previously approved via email. Our January revenue was $19,464.64. Our January expenditures were $8,208.57. The Equity as of January 31 st is $96,309.28. Our balance as of January 31 st was $294,822.42. Our stocks are up to $33,185.71. Our 2017 United Church of Christ fund donation was $7,449.00. Colleen Marx made a motion to accept January’s financial reports. Kelly Brown seconded. The motion carried. Kari Meyers made a motion to accept the February bill list. Kelly Brown seconded. The motion carried. Attendance each Sunday is an average of 72 persons. Financial is an average of $1993.00 weekly. 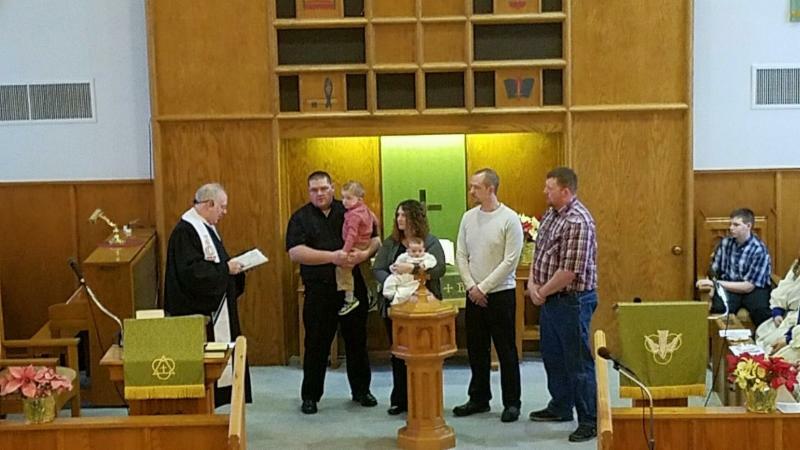 Shared ministry starts on 03/01/18 with St. John’s in New Holstein. 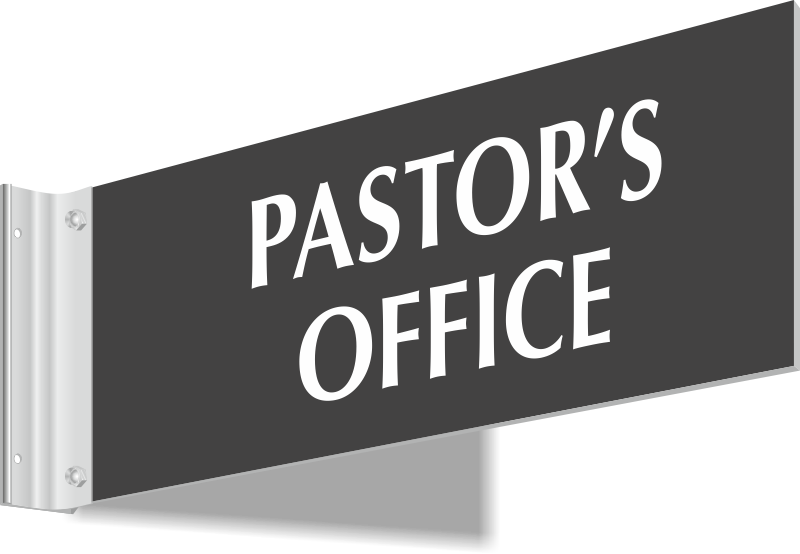 Pastor Mike is working on a call agreement for things such as vacation time and sick time. Christian Education and Music: Confirmation is May 6, 2018 at Ebenezer. There will be no Easter Breakfast this year. Coffee hour after church as of March 4th will be juice, coffee and one snack. 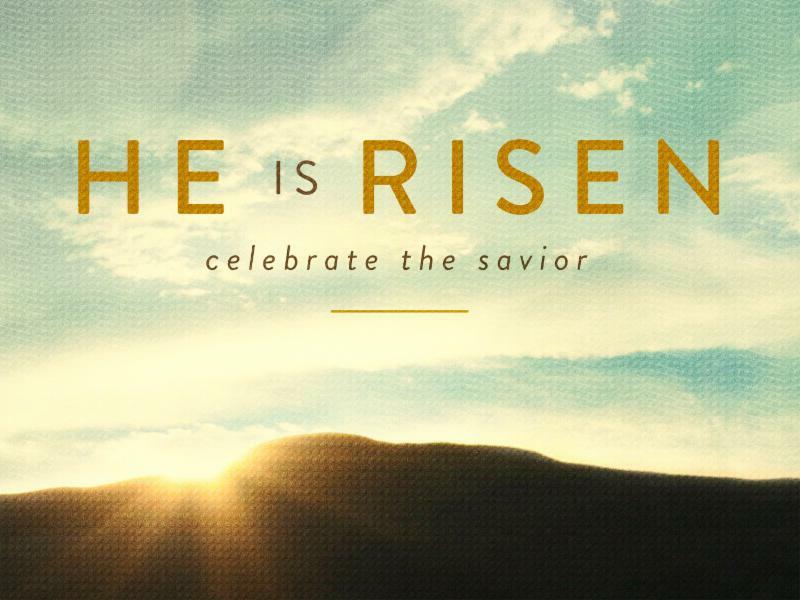 Maundy Thursday is at 7 p.m. at Ebenezer. 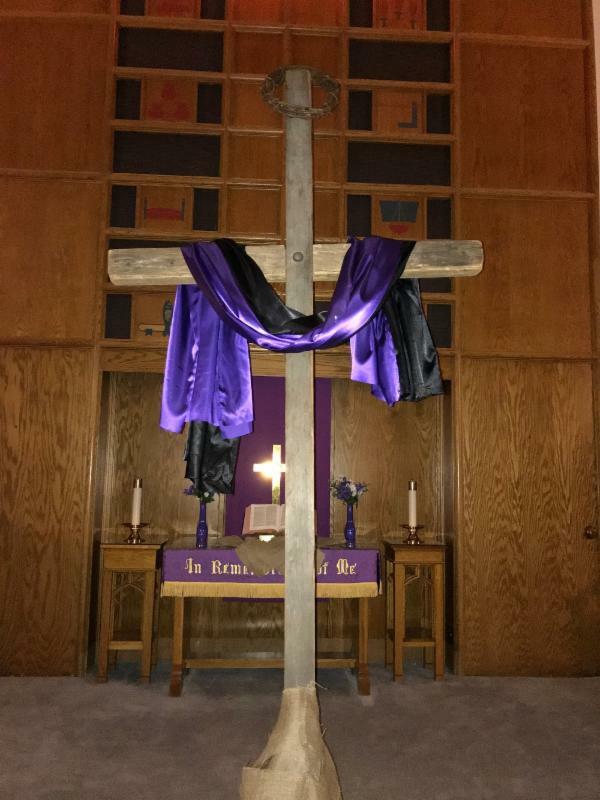 Good Friday service is at St. John’s at 1 p.m. Communion will be served at both. Property: Vern Gasch will be the council representative. No new news on property purchase. 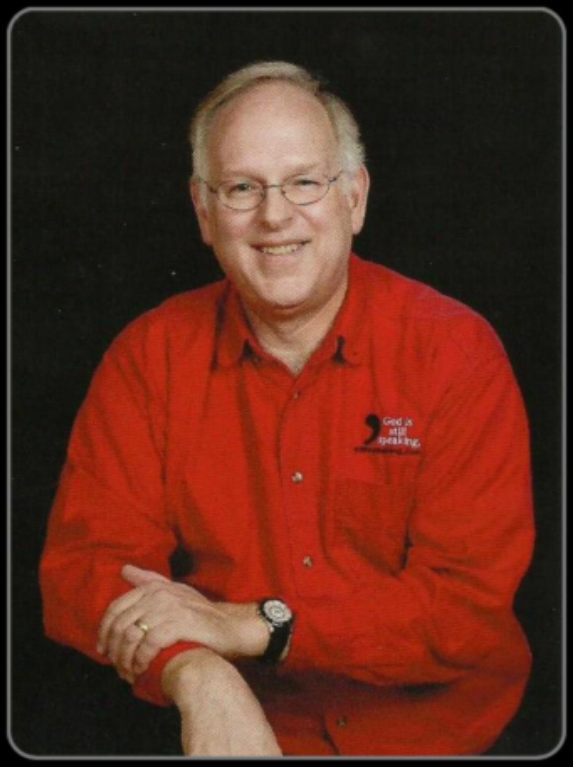 Stewardship: Andy Hofmeister will be the council representative. Braille System Update: No new news other than the audio bible that was purchased was given to a congregation member in need of one. Shared ministry: Ken Lisowe and Karen Cmejla have volunteered to be on the oversight committee. The wheelchair is broken. There may be a donation from a congregation member for a gently used one in working order. Church Software upgrade: After much investigation Church Trac software was found to be the best for our accounting needs. It will be $240 a year compared to $3,400.00 a year for Reinl accounting. Vern Gasch made a motion to accept the purchase and Jamie Plate seconded. The motion passed unanimously. 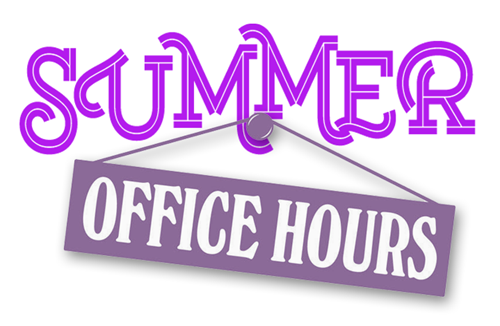 Summer Office Hours Proposal: Jackie had asked that her office hours from Memorial to Labor Day be 9:30 a.m. - 3:00 p.m Tuesday, Wednesday and Thursday. Colleen Marx made a motion to approve and Andy Hofmeister seconded. The motion passed unanimously. Constant Contact: It was proposed that constant contact be used to create the Eagle and other documents for the church instead of Microsoft Publisher. The cost would be $168.00 per year. It is much easier to use than publisher and will make adding articles easier. Jamie Plate made a motion to purchase and Colleen Marx seconded. The motion passed unanimously. Chilton Fire Department: Fire Pup program donation. There will be a special offering at the service on March 11th. Janitor: Don will be having surgery on his knees and will be out for 12 weeks. We will need volunteers to provide this service in his absence. American Legion: The Legion is asking for a donation to purchase a flag to hang outside the church. Kari Meyers made a motion to purchase and Jamie Plate seconded. The motion passed unanimously. The next Church Council Meeting will be on March 18, 2018 at 8 a.m.
Andy Hofmeister made the motion to adjourn the meeting. Vern Gasch seconded. Meeting was adjourned at 12:10 p.m. Since Pastor Susan had foot surgery in mid-January, her follow-up care has been demanding. Thankfully now that she is healing, though too slowly for her likes, her care is moving to a more predictable schedule. Whenever possible, we schedule her appointments so they will not conflict with my schedule. Sometimes it is impossible to avoid a conflict. Please understand we do all we can to minimize conflicts. I thank you for your patience and understanding as I do whatever I can do to help her heal. As noted in last month’s worship committee report, it was discussed to have the coffee hour consist of coffee, juice and one (no more than two) other simple items. 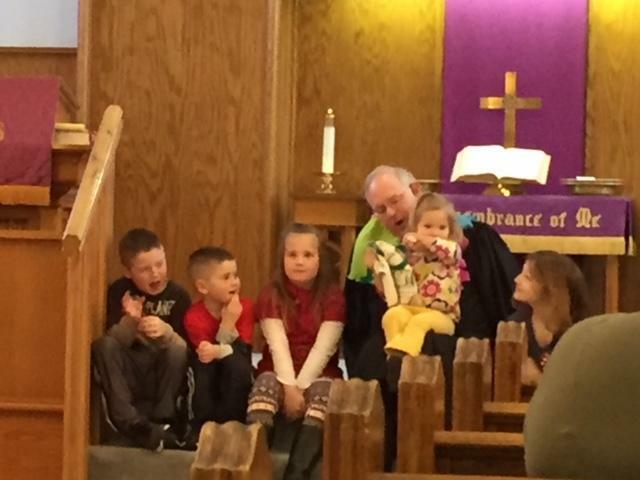 When we go to the new worship schedule on March 4 (8:45 a.m.), the Sunday School children will be going directly from worship to Sunday School classes (about 9:45 a.m.); therefore, bypassing the snacks. It is uncertain what the mingling will be following worship. Flexibility, creativity, acceptance are a few of the attributes that will be helpful as Ebenezer forges ahead into a Shared Ministry. The bell choir frequently needs to be flexible to fill different positions and adjust to different music. 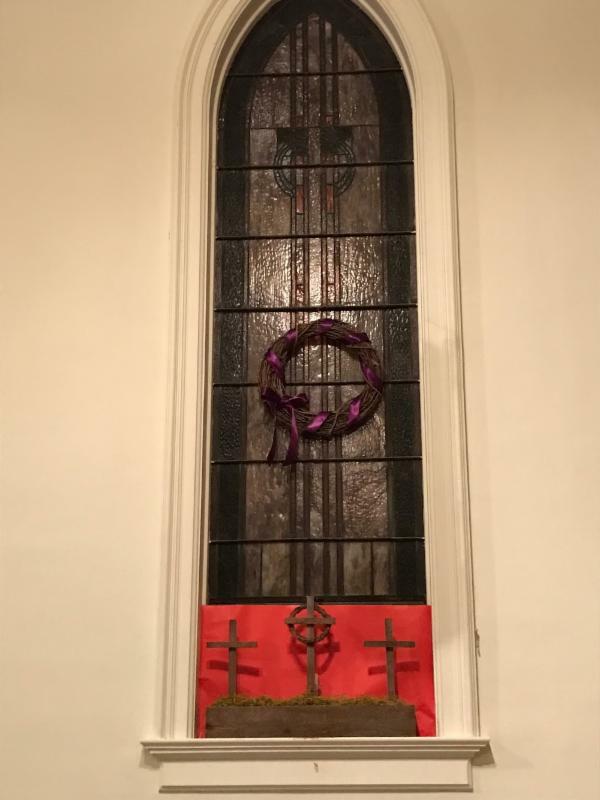 It also needs to be flexible in adjusting rehearsal time during the Lenten season to accommodate Wednesday worship times; therefore, they begin rehearsal at 6 p.m. and adjust for those that need to come later. There is usually about 10 – 15 minutes before regular rehearsal for those that want to get a ‘jump start’ on the music. Warmup time for the Sundays that the bell choir participates in worship will need to be at 8:00 a.m. Everyone will need to accept and readjust to the new 8:45 a.m. worship time so let’s be encouraging to make this trial time work. 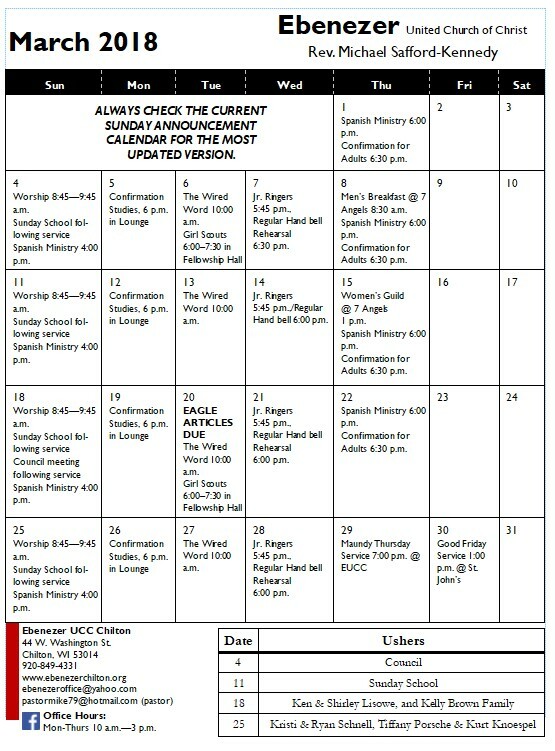 Please note the Maundy Thursday and Good Friday worship times listed in this issue and on the calendar. We welcome St. John’s Chancel Choir for the Maundy Thursday worship at Ebenezer. You will have noticed the Sunday scripture readings are printed inserts in the bulletins. This is to better understand in hearing them read, as well as following the printed version to have a background for the sermon. They are also a good reference to take home to reflect upon. Usually the version that is read is different than the pew Bibles; therefore, use the printed inserts instead of referring to the pew Bibles. Do you need to contact Pastor Mike? Sunday, March 4, is the St. James/St. Mark’s UCC Youth Fellowship Chili Dinner and Bake Sale from noon – 1:30 p.m. See the bulletin board for the flyer! You are invited to the Installation of Rev. Rebecca A. Johnston as pastor and teacher at Bethlehem UCC (Kiel) Sunday, March 4, at 3:30 p.m.
You are invited to attend “Rise Together” Community Night on Thursday, March 8, in the Chilton High School Library. See the board for details! 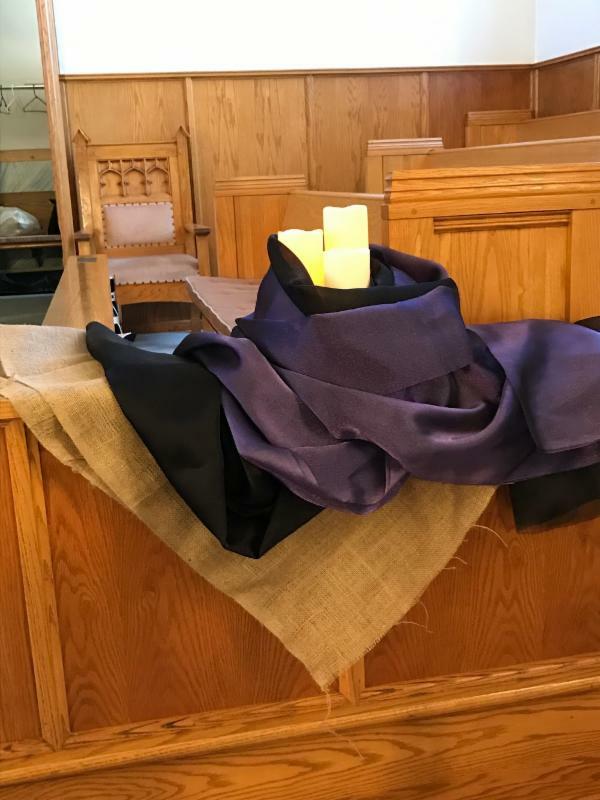 “Divine Destination” is a women’s day event hosted by the Women in Mission of Zion Lutheran Church in New Holstein on Saturday, March 10. Registration is required; see the information sheet on the bulletin board. Sunday, March 11, we will be collecting for the One Great Hour of Sharing. Also on March 11, we will be doing a special offering for the Fire Pup Program that the Chilton Fire Department brings to the schools. The New Holstein FFA Alumni 24th Annual Farm Toy and Craft Show is on Sunday, March 11, at New Holstein High School. See the flyer on the board for details! Faith Alliance Church Women’s Breakaway is on Saturday, April 7, at Chilton High School. Registration is required; details are on the flyer on the bulletin board. The Calumet County ADRC needs volunteers! See the press release on the board for information on how you can help. 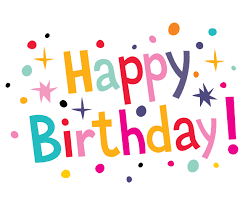 Newsletter Articles are due to the office on the 3rd Tuesday of the month (unless posted otherwise); be sure to check the calendar for the month’s due date. Weekly Bulletin Announcements are due in the office on Tuesday mornings. Please also share any pictures for inclusion! All items should be sent to ebenezeroffice@yahoo.com.